“I purchased a local business in March 2017 that had been well run and had a large loyal local client base. My vision was to use this platform to further build the bussiness, before I started this, I quickly identified there was no clear brand nor a link between the two brands to business held. Therefore, one of my first actions was to engage a professional to create a brand. With no current contacts in this field I turned to the internet and The Brand Surgery stood out as a professional supplier with a proven local track record. Our client has recently purchased a new ‘hire model’ business and wanted to create the best impression. He realised that a new corporate identity was key to bring the two elements of the business together. The project began with our essential Marketing Mentoring to ensure the correct branding strategy was developed. 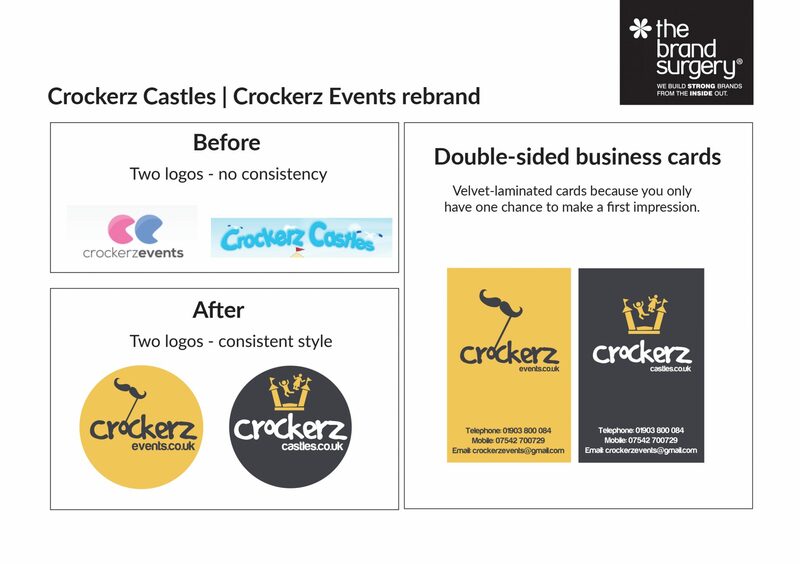 We created an ‘umbrella’ brand for Crockerz because it is an established brand with a fantastic reputation. We created six different logo design concepts for our client to choose from and he chose the yellow and grey logo combination which we are now transferring to other elements of the business. The reason we created different colours for the two sections of the Crockerz business is because they are targeted at different ages. The Events side of the business focuses on ‘Photo Booth’ hire which is mainly targeted at adults and the Castles side is mainly aimed at children, although adult bouncy castles are available for hire. We have used symbols to represent the two sides of the business. We are now working on a new look and feel for the websites, promotions and advertising and will present these in due course. Our many years in this business means we understand what works. Everything we design will look stunning at all sizes including huge exhibition signage and tiny items of promotional merchandise. 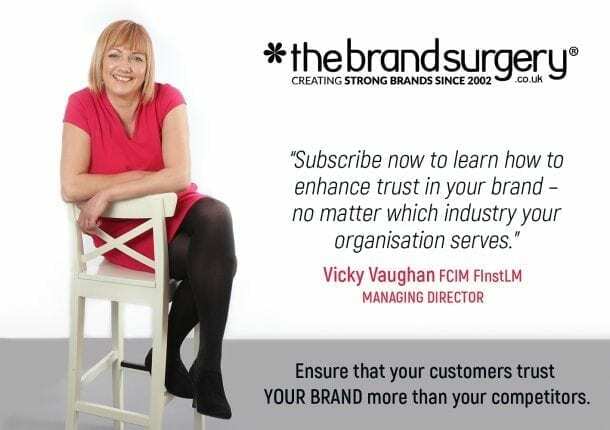 Contact Vicky Vaughan FCIM FInstLM TODAY to discuss your rebranding needs on 01903 824229 or use the contact form below. Contact us today if you would like a new logo design for your business.